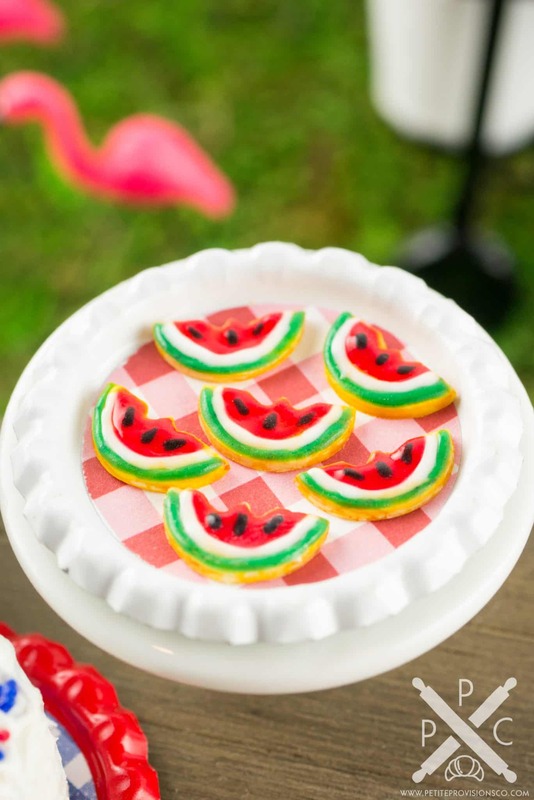 Dollhouse Miniature Watermelon Iced Cookies on Tray - 1:12 Dollhouse Miniature - The Petite Provisions Co.
No summer picnic or celebration is complete without watermelon, and these decorated cookies on a festive tray are so sweet! 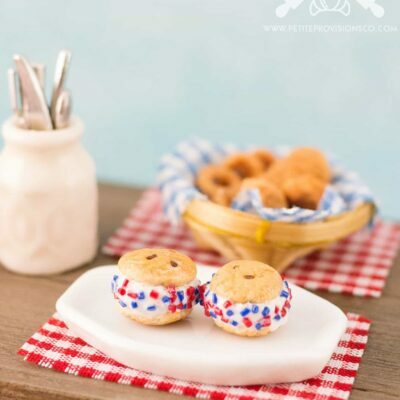 Whether you have a dollhouse or just love all things tiny, these tiny watermelon cookies are too cute to resist! White metal tray with red gingham paper inlay topped with 6 iced cookies in the shape of watermelon slices. 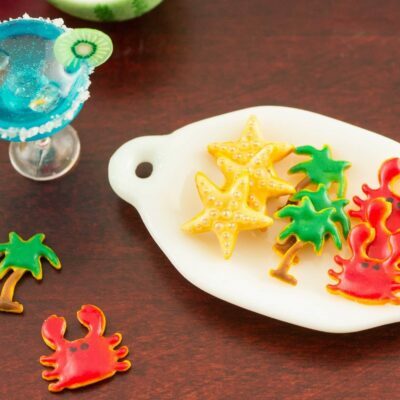 Cookies are permanently affixed to the tray.